The PC Charge Payment Server allows Windows based processing of credit, debit and gift cards through integration it into already existing payment systems for point-of-sale systems, order management systems and accounting programs. PC Charge Payment Server is an open architecture software product designed to integrate payment processing into existing POS, order entry, or accounting systems. Please note: The total cost below includes PC Charge's manditory $69 activation/support fee. Designed for stand-alone, client-server, or integrated solutions. PCCharge has undergone an evaluation by a Visa CISP qualified assessor. Depending on your payment processing company, connection type, and operating system, you may need to install some upgrades/enhancements to your operating system. Some processing companies are beginning to process transactions via SSL2 (a highly secure Internet protocol). 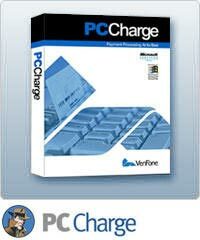 * The basic PCCharge Payment Server package includes one user license and the ability to add one merchant number. There may be a fee to add additional merchant numbers and/or user licenses.